Make guests feel immediately at home by letting them hang coats, hats, and umbrellas on this classic coat tree. 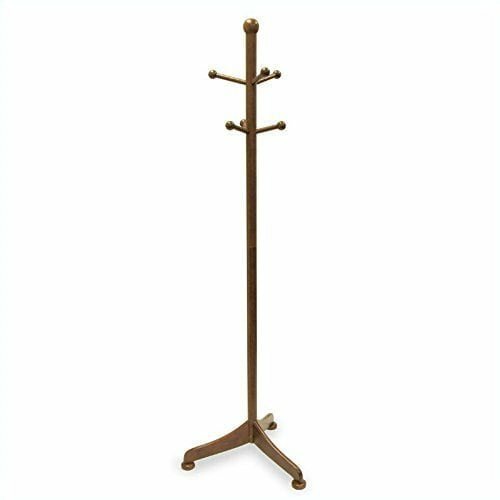 Made from sturdy wood, this coat tree features six pegs and a gorgeous tan color to blend well with your wooden furnishings. Robust wood constructionTan colorDesigned with six pegs for holding multiple itemsRequires assemblyMeasurement GuideMen's Shoe Sizing Guide to view our children's shoe sizing guideAll measurements are approximate and may vary by size.